Israel’s deceptions have a long history. Back in the 1970s, a young Juliano Meir-Khamis, later to become one of Israel’s most celebrated actors, was assigned the job of carrying a weapons bag on operations in the Jenin refugee camp in the West Bank. When Palestinian women or children were killed, he placed a weapon next to the body. Are soldiers today carrying a “knife bag”, just as Meir-Khamis once carried a weapons bag? A half-century of occupation has not only corrupted generations of teenage Israeli soldiers who have been allowed to lord it over Palestinians. 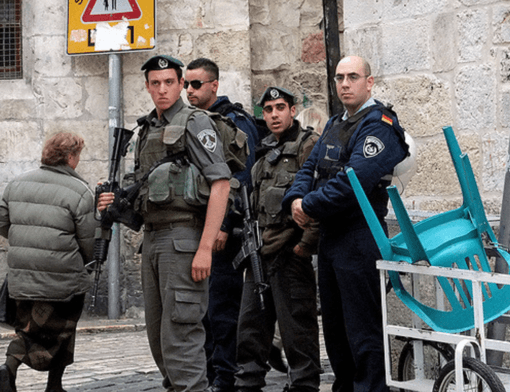 It has also needed an industry of lies and self-deceptions to make sure the consciences of Israelis are never clouded by a moment of doubt – that maybe their army is not so moral after all.